If I start by telling you that the score for this was 91/2 to 10 You may be already preparing to visit the library for a copy! This is a story set prior to WW1 and extending to the mid C20. It is difficult to adequately describe this book without resorting to platitudes, but I will spare you that. If you know little or nothing about WW1, about the conditions in the trenches and tunnels, read this book. If you wish to read a love story, experience the lives of complex characters and the dynamics of relationships, read this book. 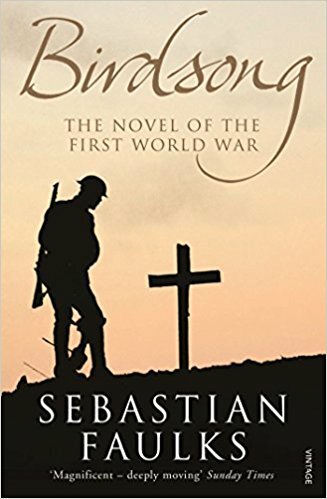 If you like a book with a wonderful story line in which you can lose yourself, one in which the characters are so well drawn that you feel you know them personally, one in which the descriptions of not only horrors of war but also the beauty of the English countryside, you need to read this book. For some of us this was a second reading, but that added to our appreciation of it. For some it was not bedtime reading and yes, to read so graphically the details of war is unsettling. However that was relieved by the other facets in the story. This was a well written, well researched, informative and engrossing book of the highest quality. One group member declared that it was the very best book he had ever read. If that is not a recommendation, I don’t know what is!